Team Coco’s five-man unit spearheaded by newly crowned National Road Race champion, Raynauth Jeffrey will wing out today for Anguilla on a quest to dominate the 14th annual John T Memorial Race on Sunday. National Under-45 Road Race Champion, Junior Niles, Junior Road Race Champion, Michael Anthony and former junior prodigy, Christopher Holder. Jeffrey, DeNobrega and Holder will contest the senior category while Niles will look to out-pedal the Masters. 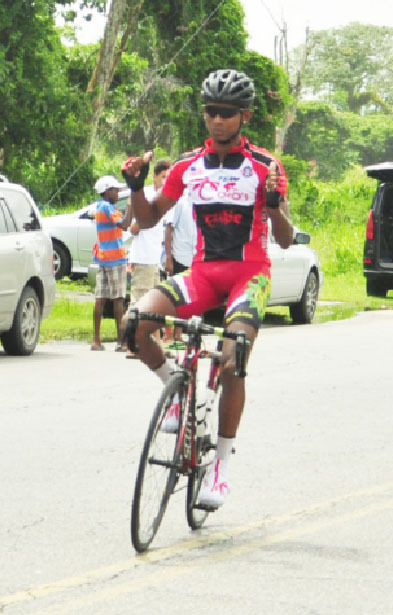 The 16-year old Anthony who secured a gold medal at the Junior Caribbean Cycling Championships last year will aim for pole position against his junior rivals. 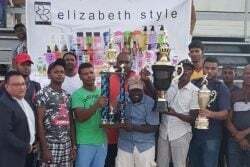 Team Coco’s Secretary, Dale Bristol told this publication yesterday that “We are expecting them to win in their respective categories, they are that good and especially Raynauth is in the form of his life so we are definitely expecting them to excel”. Bristol however cautioned that mechanical problems do occur in cycling. The last time a Guyanese won the gruelling 75-mile event was Dwayne Gibbs in 2005. When this was conveyed to Jeffrey, the star cyclist said that he will aim to break that eight-year run of futility by the locals. “I always go into every race to win it” the forever confident 19-year old told Stabroek Sport yesterday. “I was fourth last year and I was not in the form that I am in now, so I am aiming to win this year if not me, Hopefully one of my teammates”. The challenging course which winds around the island begins in Anguilla’s capital, The Valley, before going east to Sandy Hill roundabout, continuing to the West End, then back through Sandy Ground, before returning to the east and the finish back at The Valley. Male cyclists will perform three laps and female participants will complete two. 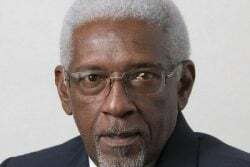 The John T Memorial Cycle Race is held in honour of John Thomas who was a pioneer in the cycling arena in Anguilla. This year’s races are expected to draw large crowds of locals and visiting support teams from other Caribbean countries. 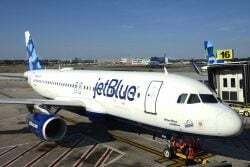 Widely regarded as one of the premier cycling races in the region, the event attracts competitors from islands including St. Vincent, Antigua, Nevis, St. Kitts, Trinidad, Barbados, St. Maarten, Guadeloupe and the host nation.